We are excited to announce that we have just launched our new ranges for Spring 2016. Included in the line-up is the Hudson stackable storage collection which is available in grey or white and helps to make smaller kitchens more functional. We have also added a stylish new addition to the popular Vintage Kitchen collection, Vintage Kitchen Belmont which features fresh colours and a sophisticated look. 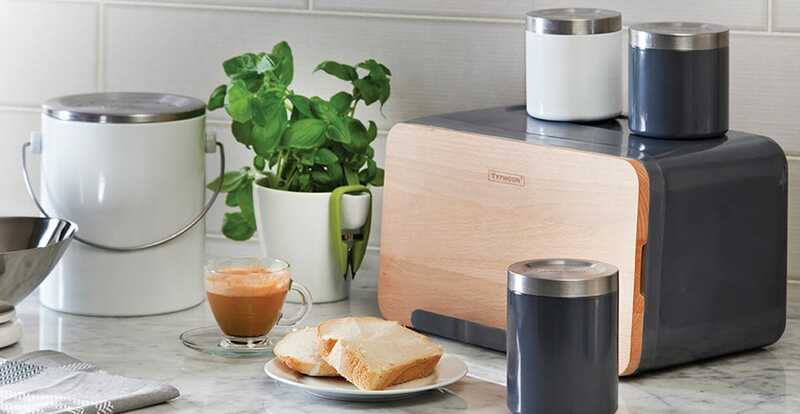 If you are looking to add a retro feel to your kitchen, the Retrospect range is perfect! Included in the range are Tea, Coffee, Sugar and Sweet Treat tins.